When I learned about the Design Sprint Workshop, I wasn’t entirely sure what “design process” meant or what it involved, but the tantalizing hint regarding “innovation” seemed a promising fit with my personal philosophy that staying inside the box prevents one from getting very far. Having benefited from new ideas and programs created by pioneering physicians, I was definitely in favour of any tactics that might promote health care innovation. The workshop started off in a non-traditional manner, as we received a pre-workshop homework assignment which guided us in phrasing a problem we had been facing as a design challenge. 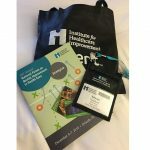 I promptly envisioned all the health care professionals in the workshop as already halfway through tremendously impressive workplace initiatives – things like changing hospital procedures, restructuring health authorities, getting doctors to write legibly… As a patient partner I didn’t have a workplace problem to contribute, but I certainly had an advisory committee topic that had been of particular interest to me. During the event, the facilitators used the intriguing phrase “disruptive innovation” as an essential element for health care development, to shift towards new and creative ways to make effective use of limited resources. Design thinking was introduced as innovation which meets human needs by creating practically feasible solutions that are viable for the relevant organizations. The design process was described as leveraging empathy to see through the eyes of all the people involved. The members at each table formed a team and chose a topic from the results of our “homework assignment.” The facilitators then led us through an example where a problematic health care situation had been addressed using the design approach, so that we were able to follow along with the steps taken to create change. We were invited to experience empathy by exploring limited mobility, hearing, or vision – using bandages, earplugs, or glasses smeared with Vaseline. We could also choose to just observe our fellow participants while they tried this, to see what we noticed regarding their experience. In the next section, our task was to use empathy to explore our topic in an interview. As a patient representative, I ended up being the one interviewed by our table. 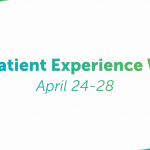 Sometimes, as the “patient” half of the partnership, one isn’t quite sure what will be of value or interest, but my table partners explored many different areas – particularly with questions about what factors were important in differentiating between positive or negative experiences as a patient, and what qualities were common to positive interactions. I was awed by the process, during which what felt like me “rambling on about my experiences” ended up condensed into critical points. We then used key issues that had come up during the interview process to refine the focus of our topic, and to define issues for the people who would be involved. After lunch we warmed up with a game and then proceeded to a brainstorming session regarding our selected topic. Our team really took off with that one and we had a lot of fun! People’s natural strengths were contributed, with one team member getting everything written down and another exhorting us on to greater effort via competition with the other tables. At this point, it was becoming very apparent how our capabilities as a team were much more significant than the sum of our individual strengths. It was very interesting to go through the “Six Thinking Hats” exercise, in which we looked at our challenge from the perspective of six different ways of thinking. By this time we had a pretty good sense of each other’s various strengths and approaches. We certainly did not have to assign anyone to keep the group focused and write things down: it was already obvious we fortunately had a team member who was very strong on that point! 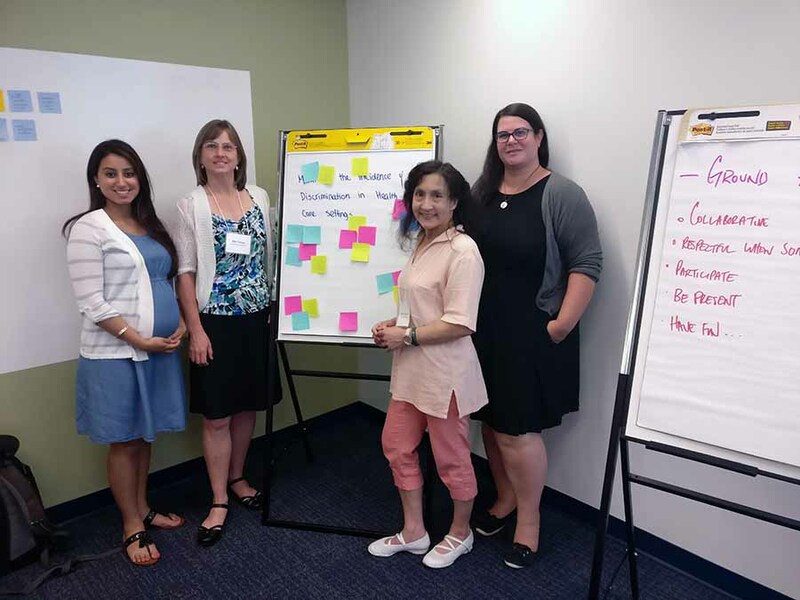 It was helpful to explore together each style of thinking about our challenge, and as we cycled through the different “hats,” it was evident how different team members naturally came to the fore in bringing up points relating to a particular style of thinking. When we finished by presenting our proposed course of action for our challenge, our team chose to continue along this line. We gave each member a role in the presentation and divided the key points based on our individual strengths, so that the “organized” person presented the overview, the “enthusiastic” person discussed the value of solving the challenge, and so on. A very short time was allowed for the presentation, so I felt that managing to hand off smoothly between ourselves really said a great deal about how much we had come together as a team by the end of the workshop. The topics we initially considered were quite varied, but a very noticeable common factor was that every challenge involved human behaviour and communications. As a group we had a greater capacity than as individuals, and many of the exercises not only advanced solving our challenge but also helped us develop into a team. As our team coalesced, each member could become more effective, as when you familiarize yourself with other team members’ natural aptitudes, you become increasingly able to focus on contributing from your own strengths. During the interview, I found it very meaningful how interested the health care professionals on the team were in a wide range of experiences, and the questions they asked were very insightful. A suggestion occurred to me during the workshop: in addition to the defined patient partner positions, it might enhance new ways of thinking to simply provide informal opportunities for people in health care and research to meet patient volunteers, and ask whatever individual questions might interest them about patient experiences. I look forward to using what I learned at the Design Sprint Workshop in my engagement positions! I think it will be particularly useful in some of my SPOR-related activities, such as the BC-Primary Health Care Research Network patient advisory committee, as well as a research team I have joined as a patient participant. I am also volunteering again for the UBC Health Mentor program, and anticipate that what I learned will be helpful when we develop the poster session presentation at the end of the term. So thank you to the facilitators Colleen Kennedy and Andrew Siu for the great workshop. And thank you to my fellow team members – it was a privilege to learn together. And I am extremely grateful to PVN and to the BC Patient Safety & Quality Council for the opportunity to attend the Design Sprint workshop! You can attend a workshop too! 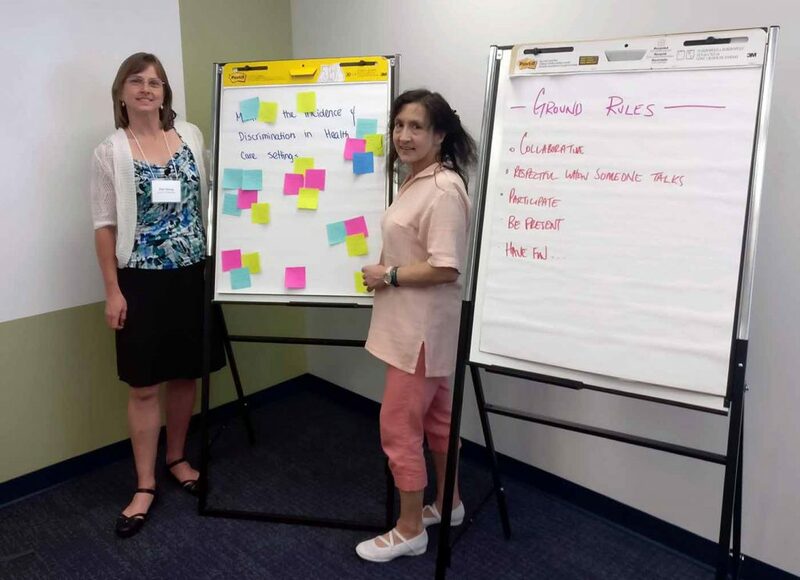 The BC Patient Safety & Quality Council regularly offers workshops on different topics related to improving patient safety and quality of care in BC. These events are typically geared towards health care providers, but excellent for all those who want to broaden their skills and knowledge. As you might have seen in our previous newsletters, we’re now sponsoring patient partners to attend those workshops. The Design Sprint Workshop in which Brenda participated was the first one, but there are many more coming up across the province. Stay tuned to our newsletters and social media profiles (Twitter, Facebook and LinkedIn) for future opportunities to apply! 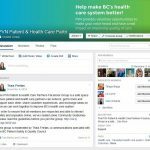 Brenda lives in Vancouver and has been a patient partner since 2015. This entry was posted in Uncategorised and tagged Learning Opportunities, Patient Partner Experience, Workshop. Bookmark the permalink.